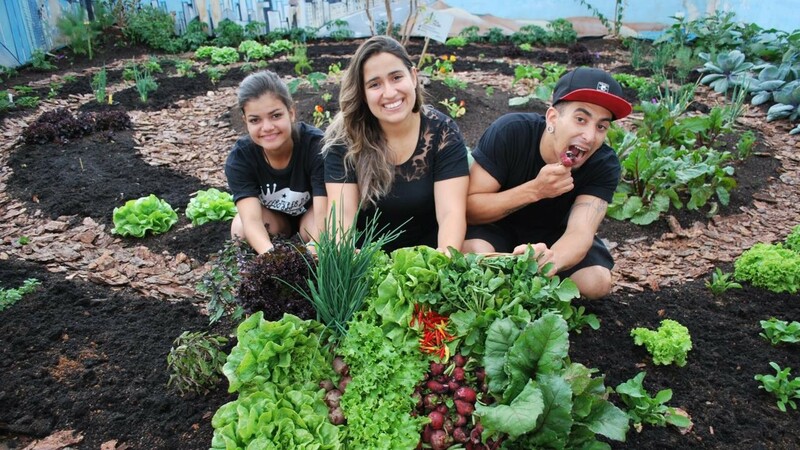 Our mission as an impact business is to transform people's relationships with food by providing information and training that allows for better choices, using edible urban gardens as tool. 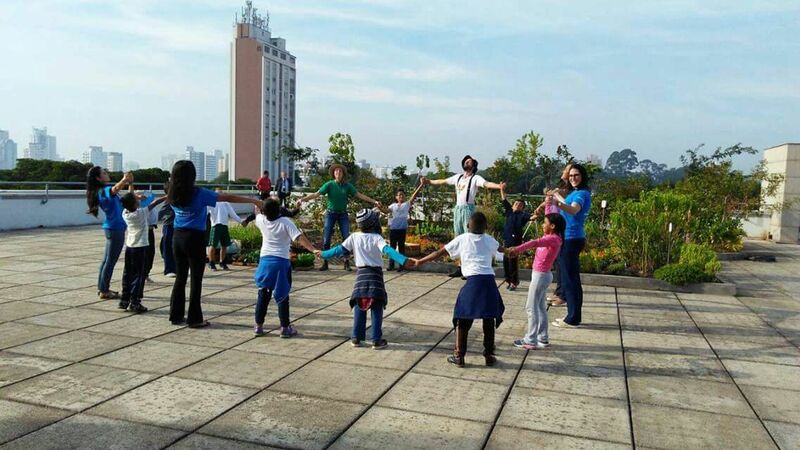 We create green spaces in Sao Paulo, Brazil to reconnect people with the food cycle and offer programs that motivate behavior change to eat healthier, reduce waste, compost organic waste and consume more responsibly. We use the gardens to engage people into growing so they can develop positive affective relationship with fruits, vegetables and greens. Our key partners are companies seeking health and wellness programs and community centers. Through them we reach various audiences, from low income population to top corporate leaders, transforming individual and collective awareness about food so that their choices result in happier and healthier lives and environments. The technical solution we propose is to use vacant spaces in the city for edible gardens to provide food information and training to citizens. We mainly incorporate social agricultural technologies applied in the design, implementation and care of edible gardens, such as agroecology in which pesticides are not used. The knowledge associated with these agricultural techniques is communicated in all workshops to inspire people to do it on their own. We care about the adherence and sense of belonging of the communities that host the garden to make it a sustainable, thriving initiative and independent from us. We also use organic composting technologies in complementary to vegetable solutions that strengthen people's experience with the complete food cycle and demonstrate and inspire the environmental benefits of responsible waste management. Social technologies are central to our current model as they are based on human interaction and disseminated to participants throughout the process. Behaviors we are working to change: Increase the intake of fruits, leafy greens & vegetables according to WHO recommendations Increase consumption of home cooked meals Increase the use of the whole ingredient, such as stems, peel, leaves & other non-used parts of fruits & vegetables, avoiding food waste Reduce the intake of added sugar, saturated fat & salt from processed food considering WHO recommendations Start/expand growing edible plants at home Start domestic/industrial composting to avoid organic waste being taken to the landfills unnecessarily Start/increase buying fruits, vegetables and leafy greens mostly organic, & purchased locally, in order to strength local production Learn how to read labels of processed / packaged food, in order to reduce the consumption of those Improve eating behaviors, such as reducing negative beliefs related to the diet culture & increasing self-esteem & self care We ensure adoption through farm-based programs focused on: Information & awareness on the food cycle: growing, sourcing & production, what labels of processed food mean & how ingredients & habits affect our health Training on how to grow food, cook healthy meals using the most from the produce & how to make healthier choices when buying food; also, on how to compost waste and use it in the growing cycle. Our impact measurement is more qualitative than quantitative – we use questionnaires & videos where participants explain their behavior changes. 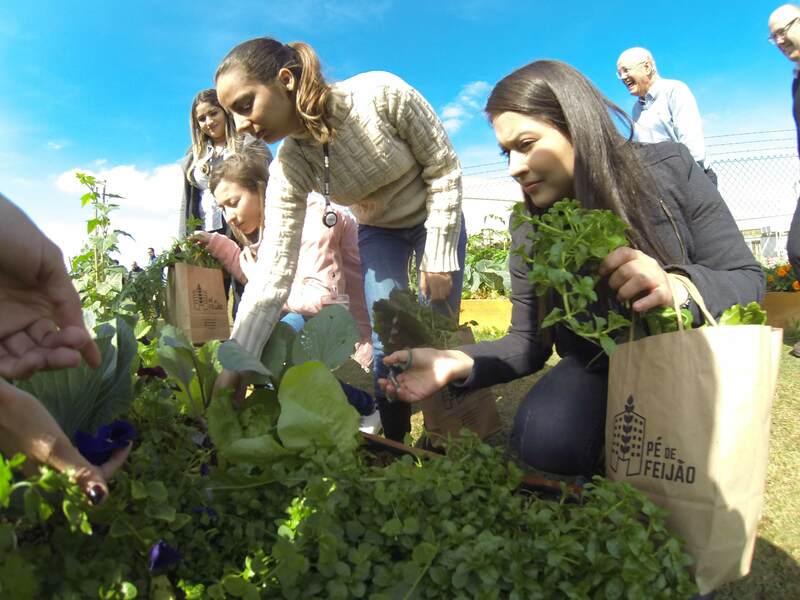 EMOTIONAL APPEALS New gardens attract people to positive hands-on experiences that develop a sense of empowerment, self-care and satisfaction around healthier eating habits. We also use multisensorial activities and the emotional connection to recipes. SOCIAL INCENTIVES Our activities and gardens are in organizations where participants influence one another, and their families. They’re also stimulated to share positive experiences and learnings in social networks, motivating others to change. CHOICE ARCHITECTURE Growing real food on vacant spaces demonstrate it can be done anywhere at organizations, households and public spaces. By training people on how to read labels we also enable more informed decisions for healthier choices. 1.Our programs bridge the information gap on the effects of food on health as well as skills gap through education and training that suit the daily life. We also address environmental issues by increasing green area per inhabitant, reducing food waste through behavior change & composting solutions, & closing the food cycle in organizations. We build urban gardens for organizations & help them maintain it as part of a health and wellness program where participants engage in workshops (usually 1 or 2 per month, for 6 months) focused on food, eating habits, responsible consumption and management of organic/food waste. 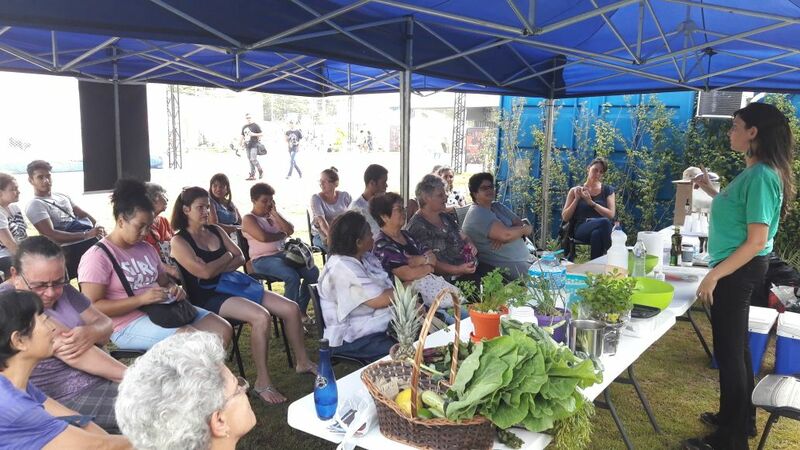 Workshops are hands-on & interactive experiences, such as learning how to build edible gardens for small spaces & domestic composting, reading labels, choosing fruits & vegetables, adequate storage, food chain in Brazil, chronic diseases, diets myths and trends, medicinal teas, unconventional edible plants, agrobiodiversity. 2.We follow up on the adoption of change through questionnaires, testimonial in videos, audios, social media messages during, shortly after the workshops and in new activities. 3.Desire of decision-makers in the organization for a garden and/or health program are good enablers; also budget; space, water and sun for an educational garden; well-identified challenges; an empowered implementation leader. 4.Communication skills are key, also alignment with organization hosting the program on challenges and expected results; engagement of teams in the implementation and involvement of participants; quality of experience, and methodology. 5. Our main obstacle in the beginning was to engage people in the workshops. The solution was improving communication with the community, partnering with local stakeholders and more integration with the NGO hosting the program. In our new programs we establish solid partnership local organization with influence in that community to ensure they will implement a local engagement strategy. We rely on market-based revenues from the provision of services to other organizations. We calculate the costs of every project based on hours of work and materials to be applied. We add a mark-up that allows us to profit from each project and we currently reinvest 100% of the profits in our activities and assets. The total costs to implement our activities has been of USD 118,000 since Dec 2015. The activities consist of design, implementation and maintenance of vegetable gardens; design and implementation of workshops and events and management/communications. Our main results since 2015 are 4,700 people directly impacted and 20,600 indirectly (students of teachers trained, families,..). We also take into account press exposure, at no extra cost in mass media such as magazines and TV channels, that inspire other organizations and individuals to adopt our solutions aimed at behavior change. 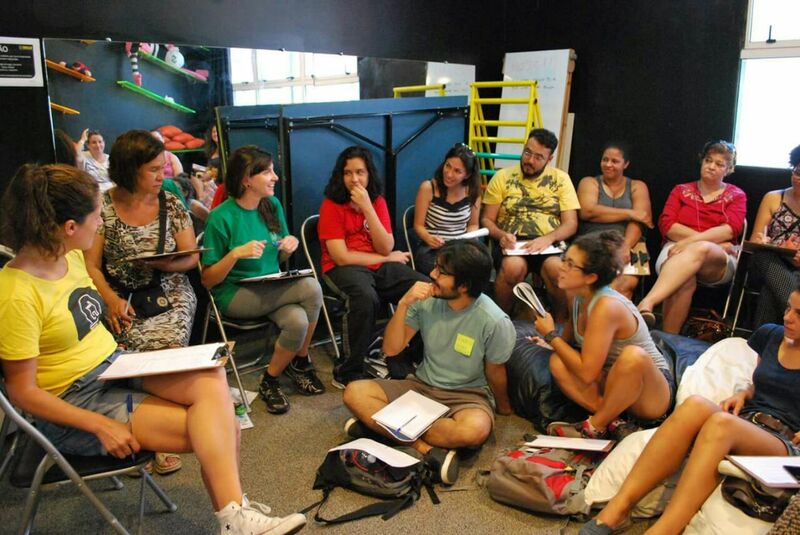 And we are often requested to provide mentoring about our methodologies to other organizations that offer similar solutions in other regions of Brazil.